My thesis was an eyewear brand made to confront the social and cultural problems that individuals like myself can face on a regular basis. The brand is named WOKE because it's a slang term explaining the sense of enlightenment—or opening of eyes—to the injustices and inequalities that affect underrepresented communities. Since this is a contemporary term, I wanted my brand to target youth culture in its product and identity design. 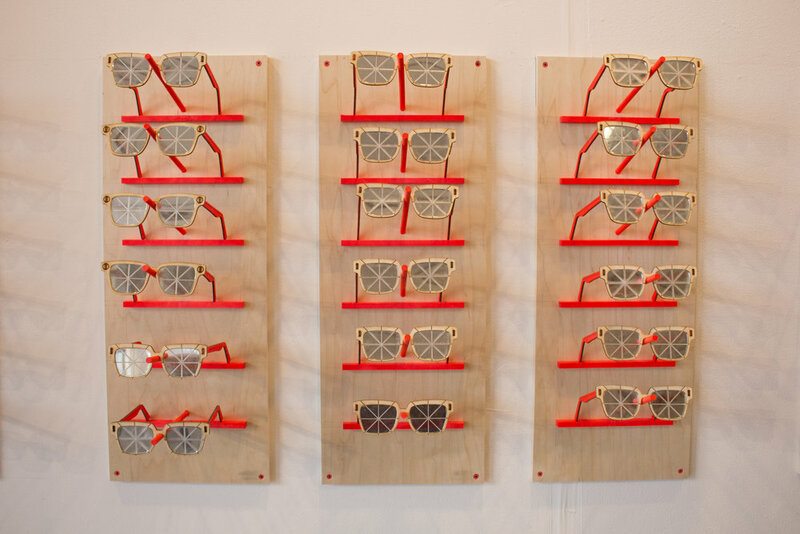 The lenses, frames, and packaging were all lasercut into three different styles. 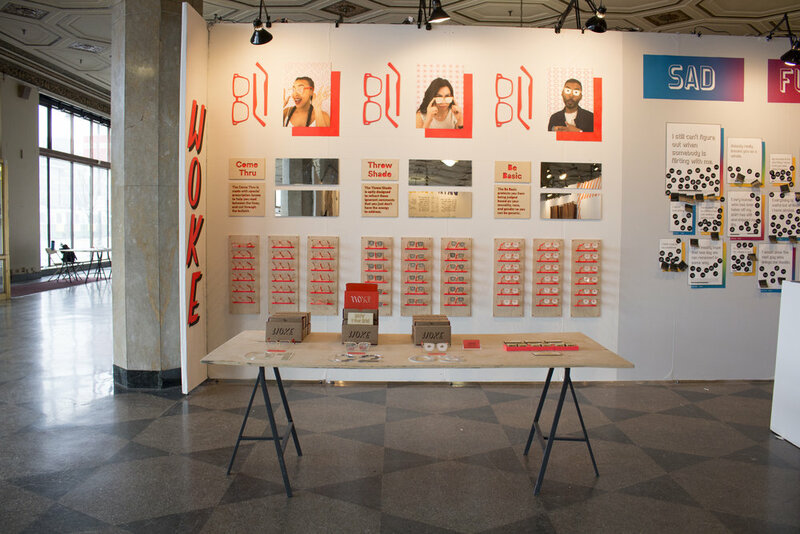 I presented the brand as a pop-up shop for my thesis show, where participants could interact with and purchase different frames. The shop was completed in four sleepless days of lasercutting, plywood shopping, spray painting, and (a lot of) fingercrossing.